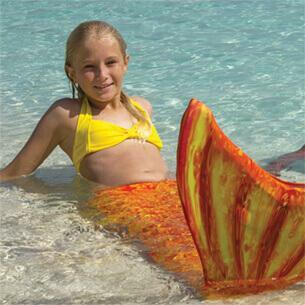 Obsessed with anything and everything related to ocean life? We get you! Not only does the sea provide a soothing, open-air atmosphere for all to enjoy, it also provides an exciting habitat for the world’s most exotic marine life! 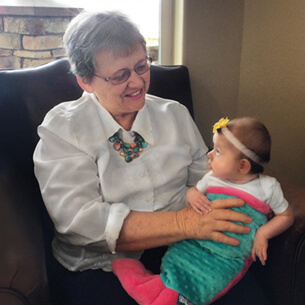 Perhaps the thrill of the ocean hooks some kids in the same way it does many adults—and that’s why snacks with an ocean theme are bound to make a splash in your household! Try these colorful food combos suited perfectly for simple snacking! What’s healthier than a bowl of fruit? This rainbow-filled recipe from Finding Zest requires minimal prep when you’ve got the right kitchen tools at hand! Grab your citrus zester, melon baller, and mermaid cookie cutter and start shaping some fun snacks! 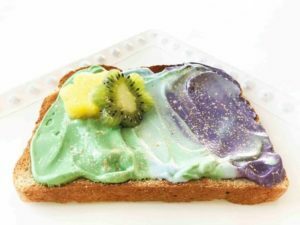 You‘ve undoubtedly seen endless variations on the mermaid toast trend since it surfaced on Instagram last summer, but we particularly adore this pretty version from The Skinny Fork. It combines organic ingredients with naturally colored yogurt that’s topped with fresh fruit shapes. 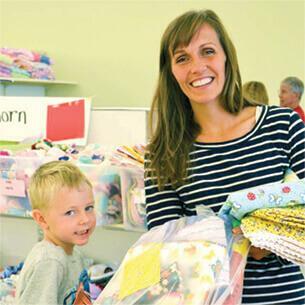 We think its palette of bright colors will reel in your kids without any coaxing. Are your taste buds tickling for some serious flavor? What are you waiting for? 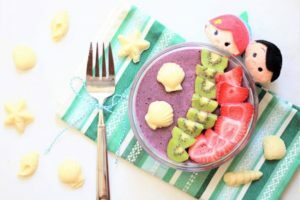 Whip up this Little Mermaid Smoothie Bowl courtesy of Disney Family on the double! Using simple smoothie ingredients like yogurt and blueberries as its base, this yummy (and healthy) snack features a touch of sea-themed chocolates with accents of yummy fruit. Or, let your kids take the lead on the bowls they create using Fork & Beans’ fun smoothie bowl designs as inspiration! 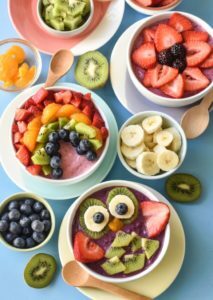 Divide your blended smoothies into several bowls, supply the toppings, and see what silly (or serious) designs appear in their snack bowls! Concerned about food dyes? 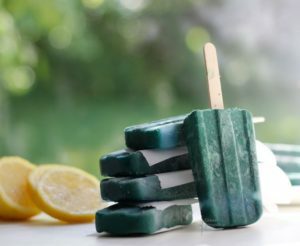 You can turn popsicles blue in a natural way using a little ingredient called spirulina! This blue-green algae packs a superfood punch with its nutrients, protein, antioxidants and more! The fun factor in this recipe from Green Smoothie Gourmet is two-fold. If you have kids who love to help in the kitchen, they’ll have fun assembling the popsicles, plus they’ll get an ocean blue snack on a stick that’ll have everyone on the block asking for more! If you’ve got the basic elements of a sandwich sitting in your pantry or fridge, you can easily adapt these “starwiches” to your liking. 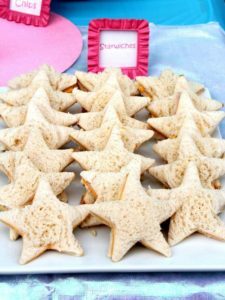 This plate of snack-sized stars from Kara’s Party Ideas appears to contain peanut butter and jelly. But as you can imagine, there’s loads of ways to stack a sandwich. Start with your bread (or tortilla) of choice, then gather your favorite fillings for super simple assembly. Most any cookie cutter will work, but we particularly like this high-quality star cookie cutter from Michaels. It won’t take long for your little clan to gobble up these yummy snacks, so you may even want to have some Pepperidge Farm Organic Goldfish Crackers as backup! You can find additional ideas for healthy snacks using eggs, apples, and more at The Organic Kitchen. Need 26 more options? 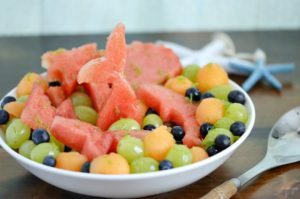 Check out this list of wholesome, easy snacks for kids from Beachbody and see what sea-worthy creations you can come up!